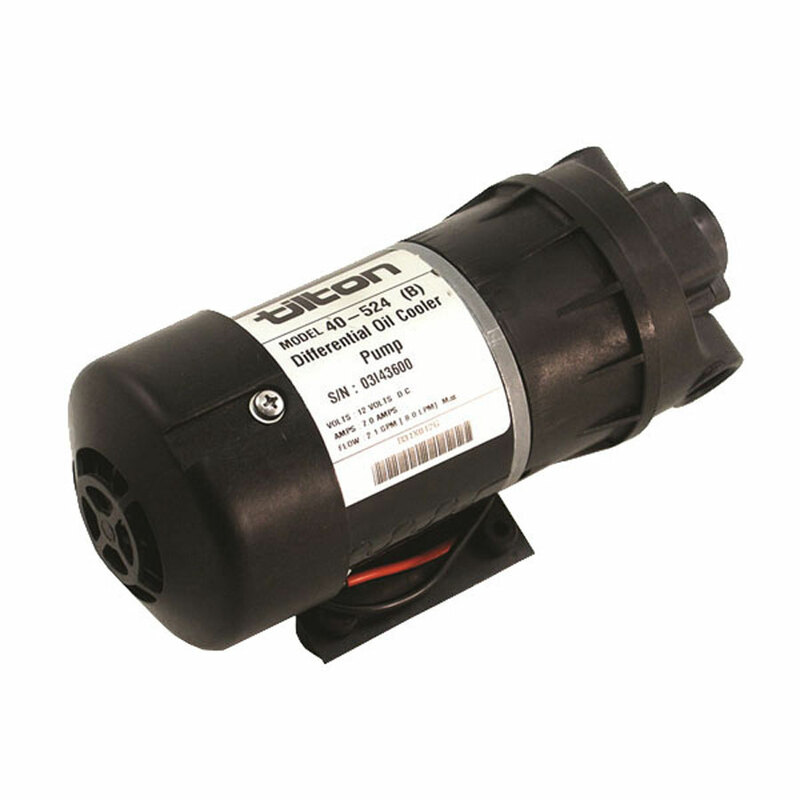 Tilton cooler pumps are ideal for pumping oil through transmission and differential coolers. 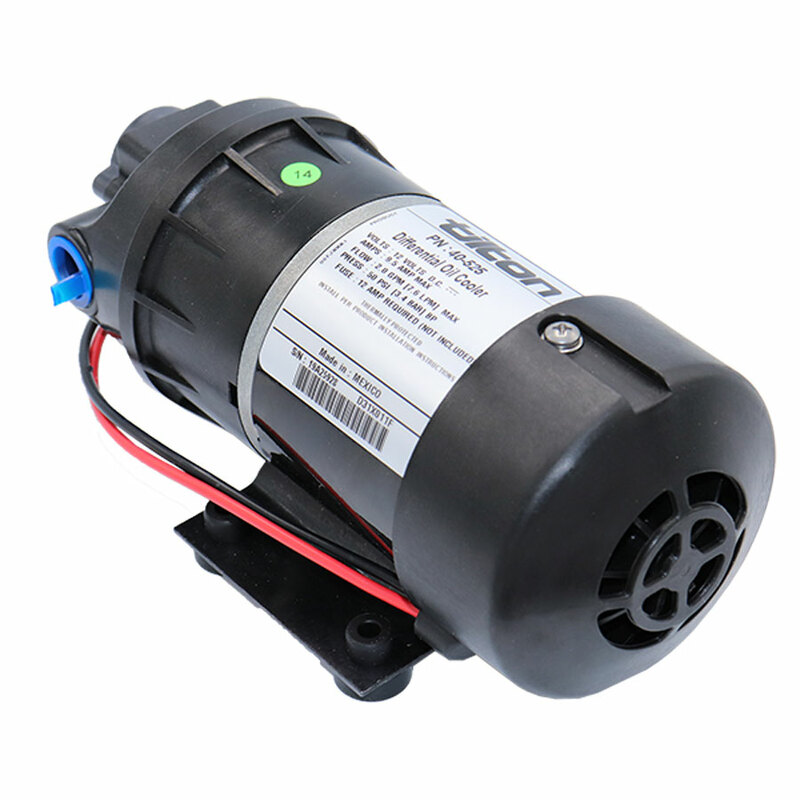 Cooler pumps feature an internal bypass valve and are self-priming up to eight feet above the source from which it draws. Tilton cooler pumps are a positive displacement type of pump, so its output is directly proportional to the motor speed. For example, if a lighter load increases the motor speed by 25%, then the flow rate increases by 25% as well. The Buna cooler pump is designed for use with standard oils and coolants, while the Viton model is designed for use with corrosive fluids such as alcohol. The intermittent duty pump is designed for applications where the pump does not need to be used continuously, such as being turned on/off by the driver or a relay at established temperatures. 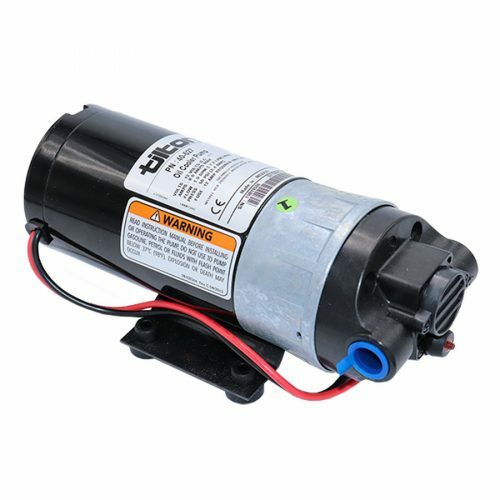 Intermittent use pumps are designed for applications where the cooler pump does not need to be used continuously, such as being turned on/off by the driver or a relay at established temperatures. Buna or Viton rubber diaphragm and check valve options are available. Continuous duty pumps are designed for applications where the pumps needs to operate continuously for longer than two hours at a time without cool down.